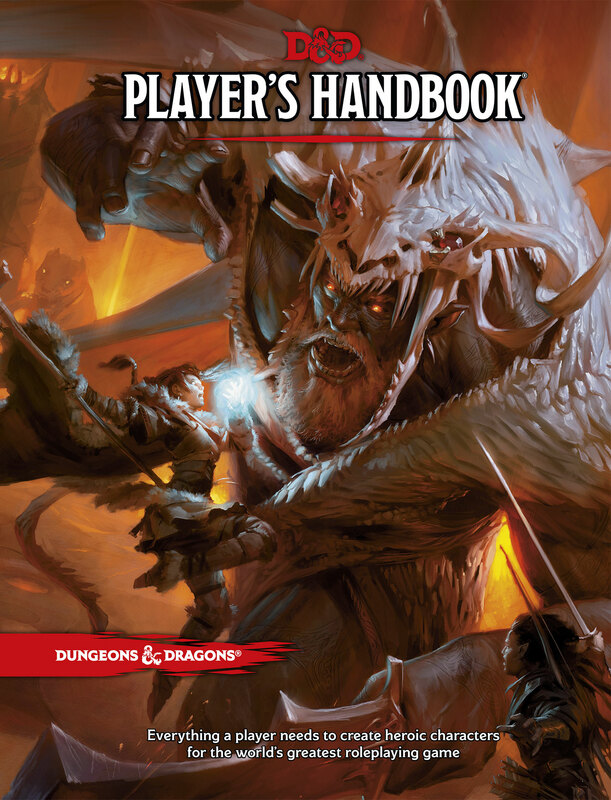 If you’re lucky enough to live near a Wizards Play Store, you’ve probably gotten your hands on the Player’s Handbook for the fifth edition of Dungeons and Dragons. Many of my player’s already have a copy, but as I’ve mentioned before, we’re all in different locations, so some of my players don’t. They’re either not near a store or they wanted the cheaper deal on Amazon. If you’re in the same boat, never fear, I’m here to let you know the book is worth the investment. I could go on and on (and I will in a Tome Show or Round Table podcast soon), but I’m here to talk to you about something I’m already changing in this book I love so much, and that’s the process of ability score generation. Before I get started, let me just say that this is my group’s opinions about generating ability scores. You may have your own, please sound off in the comments below. While this method was tailored toward them, feel free to use it in your game. Rolling. Roll 4d6, drop the lowest die roll, add the remaining rolls together. Do this six times, then assign the ability scores. Array. Use a predetermined array of 15, 14, 13, 12, 10, 8 to assign ability scores. Point Buy. Use a point buy method, involving all of your stats starting at 8. Then you have 27 points to assign to boost the stats. Each increase in a score costs more points than the last increase (more on that below). This method caps your ability scores at 15, whereas rolling can get you 18. It also makes your minimal possible ability score 8. Most of my players have played third edition, in which option 1, rolling, was the preferred method. All of players have played fourth edition in which a point buy similar to option 3 was the preferred method. During the playtest we went back to rolling for ability scores since it was just a few short campaigns. Then I remembered why I prefer the point buy method. Rolling for ability scores is a great option – it provides a lot of variance and allows for a character have a super high Strength, but also a pitiful Intelligence. However, rolling also provides a huge variance amongst characters, which can make the game less fun. If someone rolls great and has god-like ability scores when someone else just rolls ok, the fighter might feel second-rate compared to the barbarian. Normally this is the kind of thing I’d ask my players what they want to do, but they’re divided on the issue. When I told them I wanted to use the point buy method via email, my inbox exploded (in a hilarious and awesome way). 1) Point buy is lame. 2) You can only be good at something if you are the right race to be good at it. 3) You can’t be good at more than one thing unless you are the right race/class combination. I have to say, points 2 and 3 are pretty good arguments (and point 1 is just a little hurtful… single tear). 1) Large statistical variance between character competency is amusing in short games, but frustrating and inappropriate for the multi-year campaigns we tend to play. PC: Uh, I rolled three 7s, a 10, and two 12s. DM: Haha, that’s dumb you can reroll. PC: I got six 18s! 3) “Characters only really good at one thing” is a function of playing in a larger group. In a smaller group it would make sense to spread your stat points and skills around more but when you do that in a larger group you appear inferior to specialists. What’s a DM to do? Order everyone take the array and then have no one happy? Then I remembered, D&D is a game meant for hacking, modding, and blowing up. Was there something I could do to ability score generation? Then I thought back to the days of third edition D&D. While rolling was the preferred method of ability score generation, there was a point buy option, which allowed a player to raise stats to 18. So let’s look at that option. All ability scores start at 8 and a player has 25 points to spend. An ability of 9 costs 1 point. A ability of 10 costs 2 points. A ability of 11 costs 3 points. A ability of 12 costs 4 points. An ability of 13 costs 5 points. An ability of 14 costs 6 points. An ability of 15 costs 8 points. An ability of 16 costs 10 points. An ability of 17 costs 13 points. An ability of 18 costs 16 points. That’s not a bad place for me to begin. I’m going to adjust these numbers so they’re more in-line with the fifth edition point buy, however, and go from there. I also need to work in lower ability scores. Here’s the method for generating ability scores I’ll be using for my Exploration Age home campaigns. All ability scores start at 8. You have 27 points to spend. The cost of each score is shown below. You may only have one ability with a score of 17 or 18. Likewise, you may only have one ability score with a score of 3 or 4. When you “buy” score with a negative cost, it means you gain points to spend elsewhere. You may still use the standard array. For high powered, tougher campaigns, give your players 32 points to spend. In this case, the standard array might be 16, 15, 13, 12, 10, 8, or 17, 15, 12, 10, 10, 8, or 18, 14, 10, 10, 10, 8. So what do you think? Have I managed to get everything the players want and curb some min-maxing? Should I just stick to one of the older methods? Let me know! Sound off in the comments. Point buy method in the 5E PHB only lets you buy up to 15. If you want the option of getting 16-18, you have to risk rolling and getting a 3-8 score as well. I think that’s a conscious choice based on the flat math that they based everything else on (spells, monster stats, etc). In 5E, having an 18 or higher in any stat is a HUGE deal, as opposed to 3rd & 4th editions, where it was generally expected on your way to even higher stats. I’d look long and hard at the overall system math before making it easy to buy 17 or 18 stats, because with racial bonuses you’ll then have folks hitting 19 & 20 with level 1 PCs. Since 5E puts a cap on stats at 20, that feels a bit overpowered. Don’t get me wrong, I love me some old school stat rolling, but I think the math of 5E is designed a little differently. I would argue that you have enabled min-maxing but going with point buy. Can’t min-max if you don’t know what you’re going to get! I dig it though, I’m ready to (not) roll. Hahahaha. Indeed, but knowing that I almost always have a player who rolls 18, 17, 16, 16, 14, 11 and then a player who rolls 15, 13, 11, 10, 9, 6, I’d rather stick with point buy, let them buy into a higher stat or two (because that’s fun for our style of play – I’ll just have to throw bigger monsters at them earlier). There’s no law in rolling that says if you roll an 18, you’ll also get lower numbers to balance it out. This way at least you can only buy into so many high numbers. 6 + 2d6, with the ability to move points around as per point buy. Wow. That is very customizable and keeps part of the randomness. Have you tried that, Jesse? If so, how has it worked out? My players are similar to yours in that their opinions are diverse. Some love to roll and are passionate about it. Others are wary of the variance inherent in randomly determining stats that are so important, or want to be sure they have certain things, like one 18, or a couple of high scores for MAD classes. My point of view as DM is that I don’t like too many house rules; I prefer to keep it simple and close to RAW, and I don’t like the point buy variant because it slows character creation down too much and encourages min/maxing a bit too much for my tastes. My house rule for 5e is this: Roll 4d6 drop the lowest. If you don’t like your rolls, for whatever reason, use the array 15,14,13,12,10,8. Everyone gets a chance to roll high or to have an interesting set of rolls, but there is no need for me to make exceptions for people that roll low. On average, some people will get characters that are slightly better, and sometimes they will roll very high. But I think what this will do is satisfy everyone; fans of rolling get to roll; there is a chance of interesting characters, but also the safety net of the array. I thought about that as well, and it’s sort of what we did during the playtest. I think it’s a great idea! The problem is if the half-orc wizard lows roll and then picks the array, he still has 15 Intelligence. I know some folks are of the opinion, “Hey, that’s that guy’s problem. He chose to play a half-orc wizard and that’s what you get,” but I don’t feel that way. I want to see the half-orc who is top of his field, not just struggling to keep up with the other wizards. I used to adore point buy back in the day. I liked the granular nature of it, and your custom range for point buy looks quite nice. I might borrow it for my next campaign, although I’m more likely to use the array method. It’s just much quicker and minimizes min-maxing. Not a bad way to go. Fast and balanced and great for players new and old! I like the idea of PCs being “better than average”, people who stand out among common folk. My preferred method is best 3 out of 4d6, but I let them re-roll the whole thing as many times as they want. 6 + best 2 out of 3d6 is also a great method. Since D&D stats are fixed “de facto”, I’d rather give them good chances from the beginning and throw heavier stuff at them. Your point about having a balanced group (one is good at one thing and others are good at other things) is good, but I let the abilities and class system take care of that. In the end, you never end up with a group of clones (but definitely a group of heroes). I don’t think I have clones to worry about! That is a good method you’ve got going. I just know I want to provide my players with lowly stat options as well, because those are also fun (and they surprisingly agree). Interestingly, though, “Average” is actually defined, if you look at the Commoner stats in the recently released free PDF for Hoard of the Dragon Queen (http://media.wizards.com/2014/downloads/dnd/HoardDragonQueen_Supplement1_PF.pdf), Commoners have 10s across the board on stats. So even with 12s and 14s, the PCs are going to stand out among the common folk. 18-20 puts them at well beyond “standing out” into ridiculous territory… at least for lvl 1 PCs. For comparison, from that same document, a CR 6 Wyvern has a 19 Strength. Should a level 1 fighter starting off his career be as strong as a giant lizard monster meant to take down multiple heroes 6 times as skilled as he is? A CR 7 Stone Giant has a con of 20. Should that be within reach of a 1st level PC (buy up to 18, then get +2 from racial boost)? I think we’re still approaching this from too much of a 3rd/4th ed perspective. Yes, by “stand out” I mean “extraordinary”, they’re heroes after all. Not just a bit stronger than a farmer but the strongest in the village (or county). If strength is his/her main stat, he/she is famous for his/her strength, and I like the idea of PCs who REALLY stand out. They’re going to do things far beyond the reach of the commoner, abnormally high stats justify, in a way, their capability to go on those adventures. Also, stats don’t have that big of an impact in the game. A level 1 fighter who struggles to kill a wyvern will struggle more or less the same whether he has a STR of 14 or 18. Anyway that doesn’t change at level 10. If a character is weaker than a wyvern at level 1 chances are that he will still be weaker than a wyvern at level 20. Since the only way to rise stats is really really really advance (an rare) magic, they probably won’t change dramatically (if at all). You can incrementally boost up stats every 4 levels. Even if you go with the feats option, many of those also have stat boosts built-in (still with the 20 cap). The only way to get a stat higher than 20 is with ridiculously rare items, but that was part of the flat math idea, so that a +1 sword would make you 5% more likely to hit, which would be a big deal to someone at 1st or 20th level. A fighter with an 18 Str is hitting 10% more often than a fighter with a 14 Str, and doing 2 points more damage each time, which adds up quickly. I actually do want my players to have one stat on par with monsters at level 1. I think that makes them exceptional, which is what makes them heroes. I don’t want things too nutty, which is why I ruled out rolling and put a cap on how many stats can be boosted to full. I definitely see what you’re saying and understand why some campaigns might run that way, but I’d rather throw a little more at my PCs and have them overcome them, ya know? It’s not everyone’s method of play and I am a-ok with that! My bad, I wasn’t talking about 5th specifically (I play an old edition which I won’t name so you can’t know for sure how old I am), I didn’t know you can rise your stats in newer editions. I think there are a number of factors here (beyond what you’ve brought up in the piece) that really go into character creation philosophy as well as statistics (the latter of which I think would not be that interesting to discuss, though maybe I’m wrong). From a character creation philosophy point of view, I think that this whole argument is exacerbated by the fact that ability score generation is the 3rd step in character creation for 5th Edition. I actually don’t remember how it worked for 3rd and 4th editions (officially), but I think this is one of the “least realistic” aspects of character creation in the current edition. An actual person, before choosing their career (class), will know what they are good at (or great at) or bad at. A person’s agency in choosing their path in life isn’t just dictated by what they are good at, but also what they are GREAT at. You don’t become a great brain surgeon without being great at the skills that a brain surgeon uses. If you aren’t great at those skills, then you’ll probably end up killing a lot of people. In game this “mis-ordering” of character creation translates to a big incentive for players to want to use point buy rather than just roll. Whether that is “good” or “bad” is entirely subjective, but it means that point buy vs. rolling *could* have a huge effect on game play. Also, there’s the fact that rolling is not allowed for Organized Play. Not that it’ll matter for EA, but it’s interesting that they’ve decided to normalize things for their “official” tables. Totally they have. I think that makes a lot of sense for official play as well. This depends on how many people you have in your group. Each player rolls 4d6, keep best 3 for 1 score. So if you have 6 players, everyone rolls up 1 score. If you have 3, everyone rolls for 2 scores. For 4 players, everyone rolls 2 and you keep the best 6? Once everyone has rolled and you compile your 6 scores, that becomes the standard array, for that group. Everyone gets to roll, everyone has the same scores, so each character is balanced with the group. Let me know how that goes, Jon. Sounds like it might end with some very powerful characters.